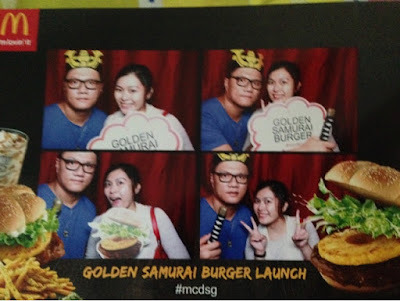 I was super honour to be one of the few very lucky one to be invited to a preview tasting for GOLDEN Samurai Burger!!! 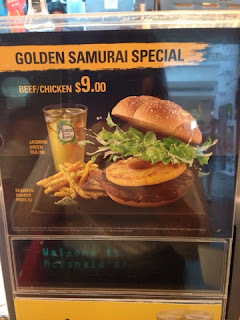 Okay so what is a golden Samurai Burger? Well, other than the classic juicy chicken or beef patty in teriyaki sauce, topped with creamy sauce and lettuce, this one comes with a refreshing burst of sweetness, in the form of a grilled pineapple ring!!! 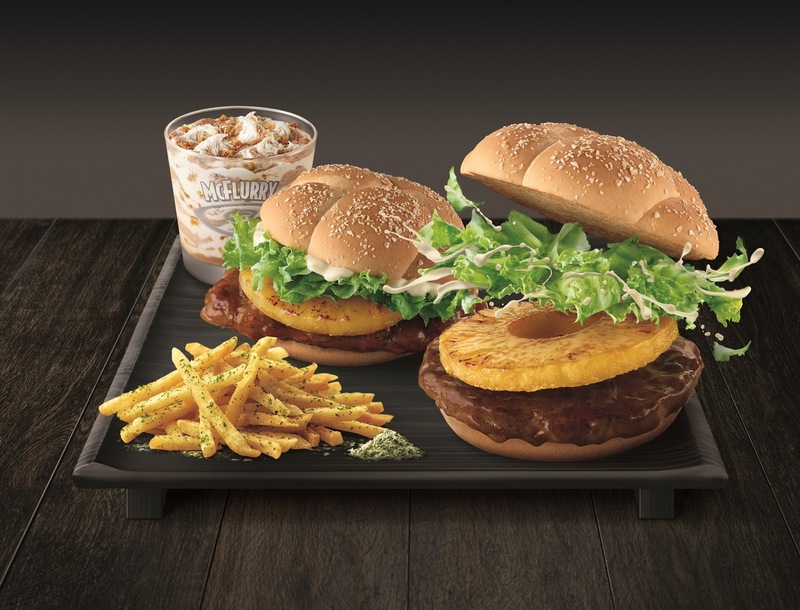 So it added it a sweet sensation to the burger! 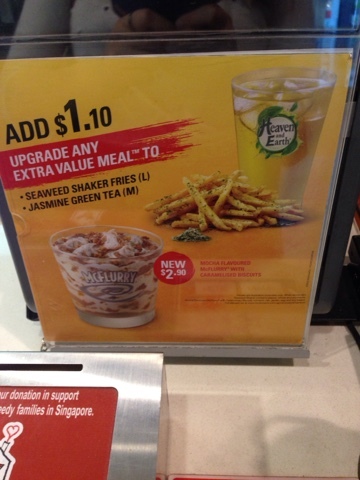 I totally love it because it is a super "Asia" taste! 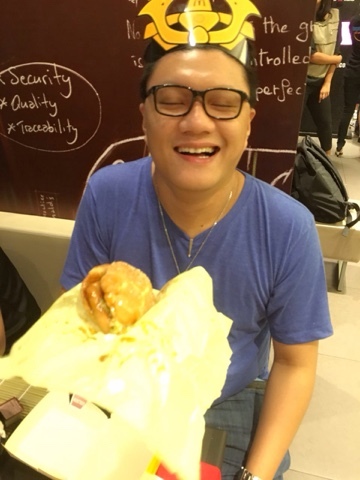 And I love Pineapple! 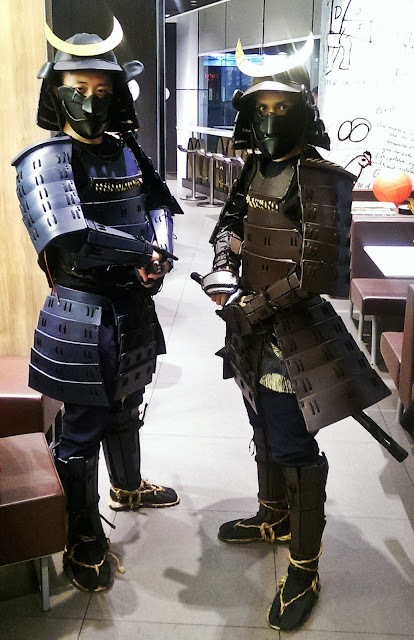 So at the preview tasting party, we were welcomed by cool samurais! Cool right? 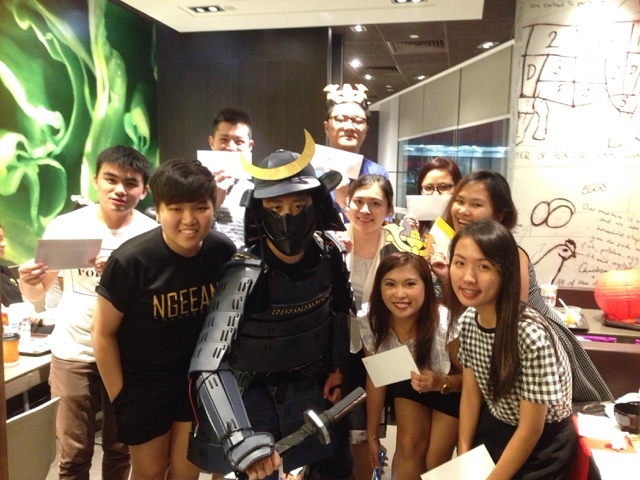 And the place were well decorated in Japanese feel! 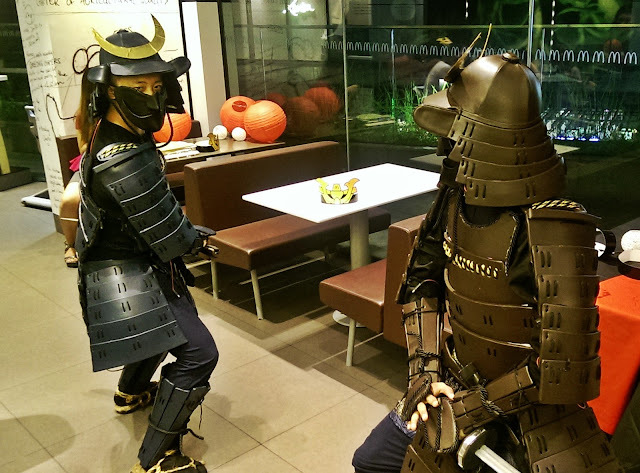 Thanks to Mcdonalds and of course we all waited for our Golden Samurai Meal to be served! We were the first batch in Singapore to try out the Golden Samurai Burger because its lauch on 29th Nov! 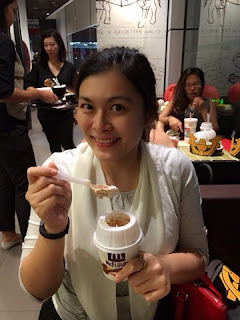 We were super excited and it is super worth trying!!! 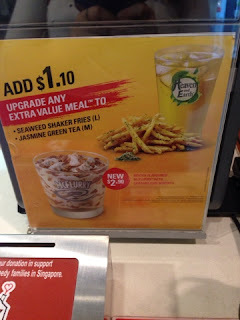 I have to say it tastes awesome too! 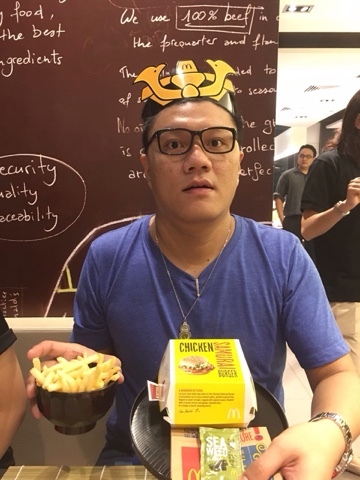 Because I love beef over chicken and if I go Mcdonalds I seldom order chicken burger LOL. But Chicken Samurai Burger is amazing! 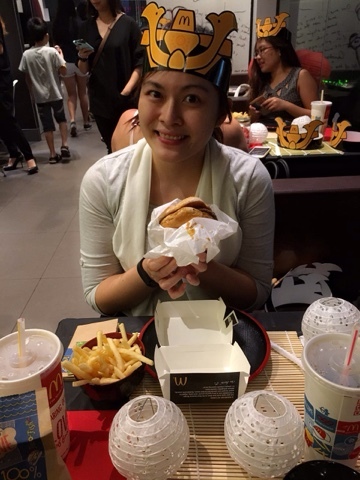 it matches well with the sauce! 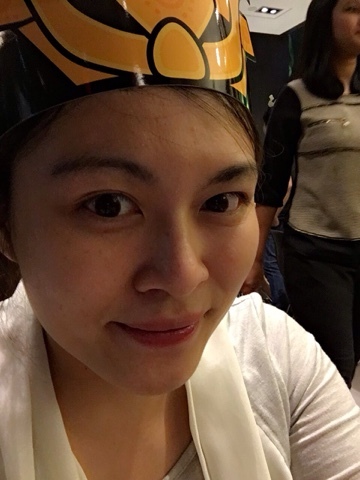 Okay here comes my selfie! 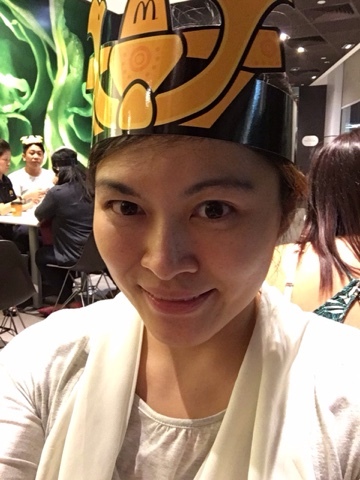 While waiting for McFlurry! Yeah and my team won! I have to thanks our group for our excellent cooperation and teamwork! 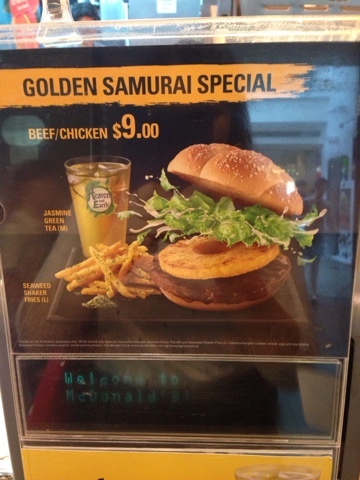 The Golden Samurai burger will be available starting on 29 Oct (while stocks last), and the original Samurai burger, seaweed shaker fries and Mocha flavoured McFlurry will also be available during this promo period!!! 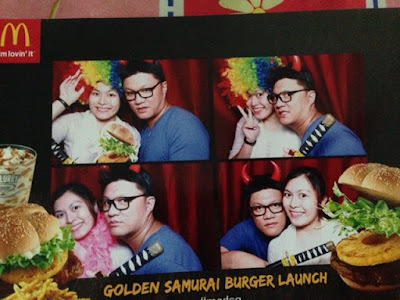 If you are a samurai burger fan, you should definitely go try it now !